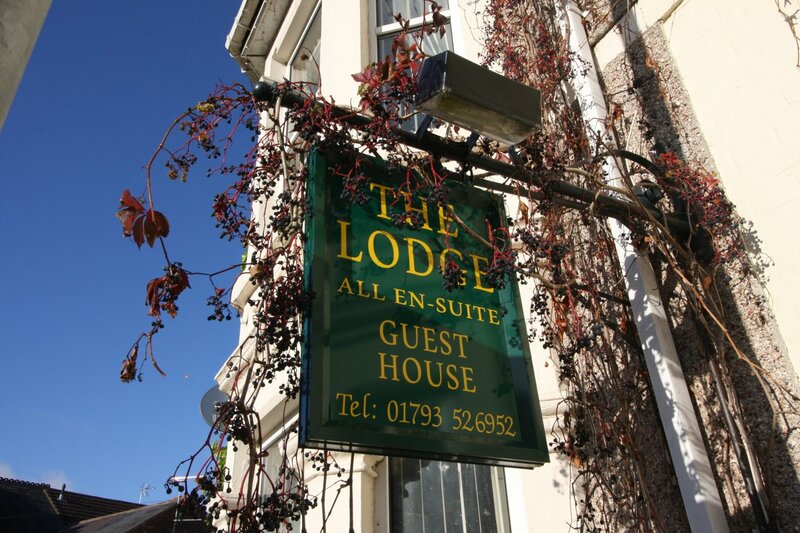 You'll find The Lodge in Hunt St, just off Victoria Road in Old Town, Swindon. FREE secure parking is available to the rear of The Lodge. From Junction 15 of M4 follow the signs for Swindon Town Centre (past the Great Western Hospital on the left) and proceed towards Old Town on Marlborough Road. At the Coate Water roundabout (just past The Sun public house), turn left, following the Old Town signs and continue along the Marlborough Road for one mile. At the mini roundabout opposite the Co-Op supermarket turn left into Newport Street. Continue to the end of the road and turn right into Devizes Road. Follow this road (which bears left) to the mini roundabout, and turn right following the signs for the Town Centre. Follow Victoria Road down the hill and take the second turning right into Hunt Street. At Junction 16 of M4 and follow signs to Swindon Old Town. Continue along the dual carriageway for about 1 mile, until you reach a large roundabout with John Lewis at Home to your right & a Peugeot garage. Turn right onto Wootton Bassett Road (this takes you under a railway bridge), and continue to the mini roundabout at the end of the road. Take the right hand fork sign posted to Old Town, up Kings Hill Road and onto Bath Road at the top. At the end of Bath Road (museum on your left, Pizza Express on your right), turn left onto Victoria Road, and take this road down the hill. Hunt Street is the second turning on the right. Both Train and Bus stations are a ten minute walk (or minimum taxi fare) from The Lodge. If walking, follow the signs for the Town Centre and then Old Town. On reaching the Town Hall (with its distinctive clock tower), continue walking in the direction of Old Town along the main road, Victoria Road. Hunt Street is the third turning left off Victoria Road. Bus Routes: A number of bus services pass close to Hunt Street in Old Town (along both Victoria Road and Drove Road). Black cabs and taxis are available at the rank outside the train station at an extra charge or telephone 01793 523523 for a reputable local cab company.